If you can't take the heat...don't turn on the oven! When Zack and I were back in West Virginia visiting the family I did one of my favorite things while I was there...I sifted through my mother-in-laws cookbooks and recipes. 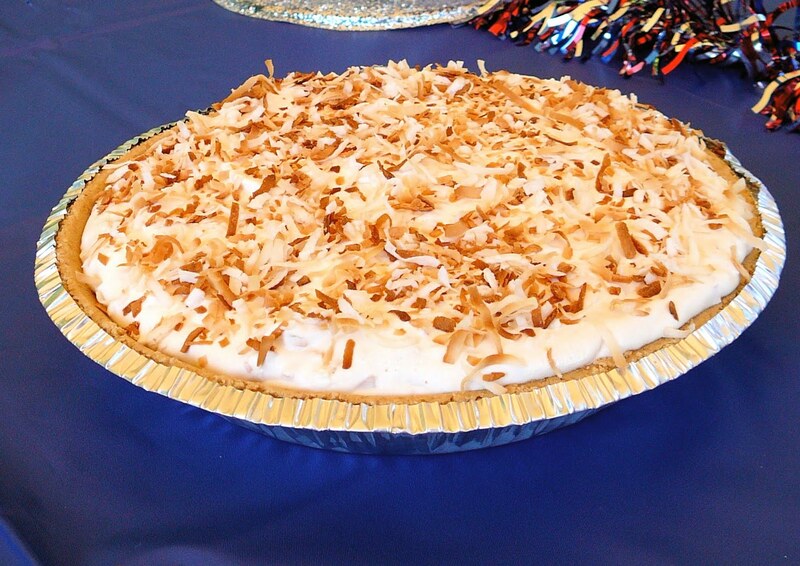 I came across this recipe for Frozen Coconut Pie and showed it to Zack. He and I just had to taste it immediately. 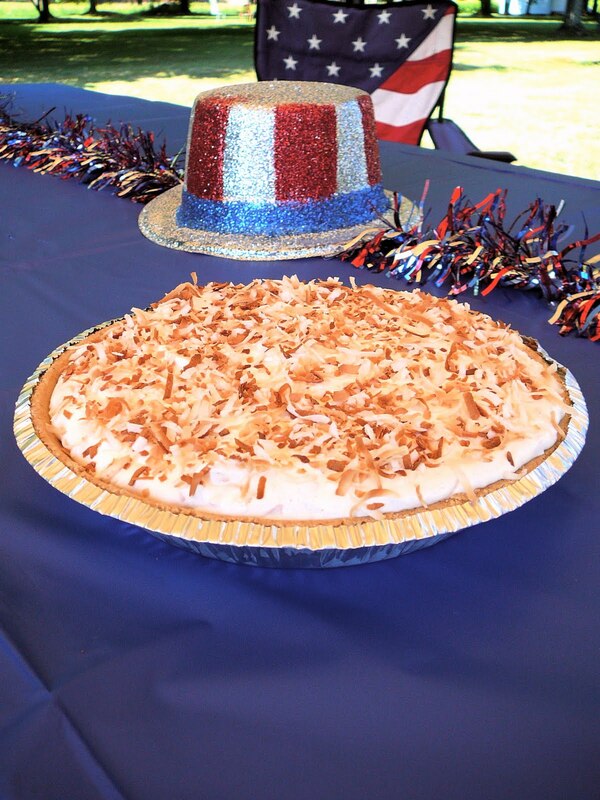 His parents were hosting their annual 4th of July Party the next day; a perfect occasion for this pie. We went out right then and bought the ingredients. This pie is so simple and soooo tasty! The original recipe does not call for toasting the coconut or sprinkling any on top, so this can really be a no oven recipe. I prefer the flavor of toasted coconut, so I was able to handle the heat. Beat cream cheese and sugar in large bowl with electric mixer on medium speed until well blended. Gradually add milk, beating well after each addition. Stir in 1 1/4 cups toasted coconut, whipped topping and extracts. Spoon into crust. Top with remaining coconut. Freeze for four hours or until firm. Remove pie from freezer about fifteen minutes before serving. Let stand at room temperature until pie can be cut easily. Store leftover in freezer. * To toast coconut: Preheat oven to 300 degrees. Spread flaked coconut on non-greased cookie sheet. Toast in oven, stirring every five minutes, until it turns light golden, about 15-20 minutes.